Hey! If you’re there, pick up! Micro Cassettes have been around since 1969. These were generally used in dictation recorders and answering machines. 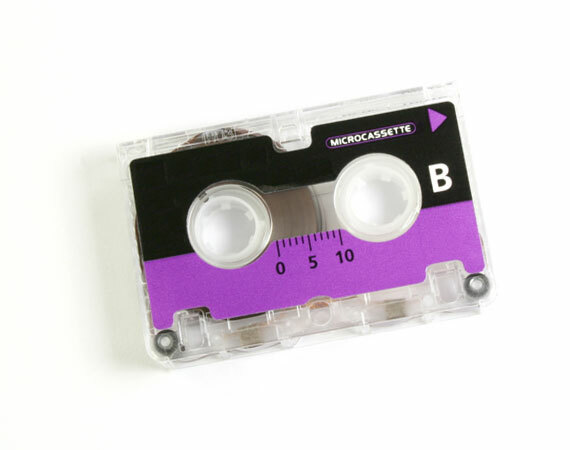 As its name implies, the Micro Cassette is even smaller than the Mini Cassette, and about a quarter of the size of a standard Cassette. The small size of the tape and recorder also made this a popular choice for concert goers to record the show without drawing attention. Save and share those bootlegs before they’re lost forever! Break out that shoebox of old interviews, messages, and special recordings and bring them to Los Angeles Video Transfer Service. We will convert those tapes to CD or digital files for you to cherish for years to come.